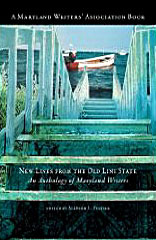 "New Lines from the Old Line State"
New Lines from the Old Line State is just what this cleverly titled book is - an anthology, the first of its kind from the Maryland Writers Association. I even found out in the introduction the legend of this nickname: bestowed by General George Washington in honor of the Maryland Line regiment for the distinguished service given in the Revolutionary War. I expected it to be about Maryland by Marylanders and though it does have some Maryland oriented inclusions, (“Saying Thank You” – a tribute by Chris Bancells to one of the most human Maryland institutions, Cal Ripken; Elizabeth Ayres’ “Bay Betrothal” - one of the most poetic, beautiful, love letters to the Chesapeake I have ever read) it is the writings of Maryland writers who come from all over the world and take us all over the world. There are selections about various states in the Union, as well as European countries and India (“Shanti’s Choice” by Lalita Noronha) and some of course Maryland. Rather than our motto – Maryland, America in miniature – it is the world in miniature through fiction (15 selections), poetry (9) and memoir (7), the three divisions of the anthology. It’s a good mixture. The selections run the gamut from mystery to fantasy and everyday life with the entries, not counting the poetry, running from two to fifteen pages each. Some are funny; some sad, some a combination of both such as Ami Spencer’s quirky “Flying with a Ghost,” which is probably not what you think. There are a few authors in more than one category but they are not equally successful. ...it is the writings of Maryland writers who come from all over the world and take us all over the world. The writing also at times is confusing. I actually stopped reading Mary Stojak’s “Clear Lake” because it was so unclear I kept getting lost in content, though the descriptive writing makes the readers every sense feel what she is writing about. I wanted to read more of Lynn Stearns’ “Family Recipe” but it just stopped suddenly. Austin S. Camacho’s “The Lost Daughter Caper” was fun - clever crime with a pinch of satire- that I could see as a half hour television episode with voice over- but I was clueless about the title. There are not many male writers included in this anthology (only seven of twenty-nine) but Gary Lester’s “The Last Drummer” is haunting with the feel of a Native American legend. I first heard Eric D. Goodman’s “Cicadas” read by him on the radio so when I began this first story in the collection it sounded familiar. All of these are from the Fiction section. For the most part I think the Poetry section is the weakest but there were a number of poems that stood out. The range of subjects is broad. Just recently I had been looking into ordering a Paulownia tree to plant for my new granddaughter. Liz Moser should send her poem “Paulownia, The Tree” to the company: it’s succinct and informative and well, more poetic. Her other poem, “Mélange,” treats the common (from Erma Bombeck to someone in my critic group among others) subject of seeing your parent when you look in the mirror. Her poem has numerous relatives in the mirror - the mélange of her family. B. Morrison “make[s] nature from the wild tangle of streets, see[s] the country patterns in city’s obstinate facades” in her poem, “City.” But in this section too, the wonderful words and beautiful images are marred by confusion as in “Friday Afternoon on Currituck Sound” (For Brianna) by Jane Frutchey. I think it is a lament but I am not sure. 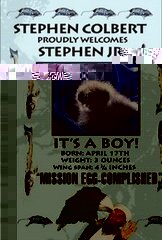 Bonny Barry Sanders gives nice tribute to her parents in Father and “The Game of Jacks.” Laura Shovan was moved to write an unusual poem, “Brother,” about an unusual subject: a news item about the separating of conjoined twins. The memoir section of New Lines from the Old Line State is the strongest. “Tulips on Trial” by Rosemary Mild is about tulips, the trial (for the bombing of Flight 747 over Lockerbie, Scotland) and the death of her daughter Miriam, a Syracuse University junior. It is gut-wrenching and I think not just for me who has a son who attended Syracuse University. I remember stopping at the memorial on the campus and wondering about the students and their families behind the white marble. Now I know vividly about at least one. Nothing like a first paragraph that ends ...”and there’s a possibility that I allowed the killer to get away free” to also grab your gut. “Probable Cause” by Sherry Bosley is about a cold case, and much like the television program by that same name has as its main character a female police officer. Retired now, Ms. Bosley has much to teach her English and Journalism classes. As editor, Allyson E. Peltier, a “foreigner” from New York City, points out in the introduction, Maryland has an “indefinable ‘something’ ” that has inspired “literary greats as Edgar Allan Poe (how many states can boast a sports team named for a poem?) and Gertrude Stein.... to Laura Lippman. Bottom line: New Lines form the Old Line State is a mostly enjoyable read. Our state’s literary health seems good and vibrant. I look forward to the next chapter of the Maryland Writers’ Association.